Nov 2, 2018 – TORRANCE, Calif.
A number of Honda pre-owned vehicles have been recognized by the Insurance Institute for Highway Safety (IIHS) as better choices for teen drivers. IIHS research suggests that the type of vehicle driven has a big effect on the degree of risk in a collision and showed many teens drive used vehicles lacking important safety technology. Since 2014, the Institute has compiled a list of safer models to help guide parents in making safer choices. 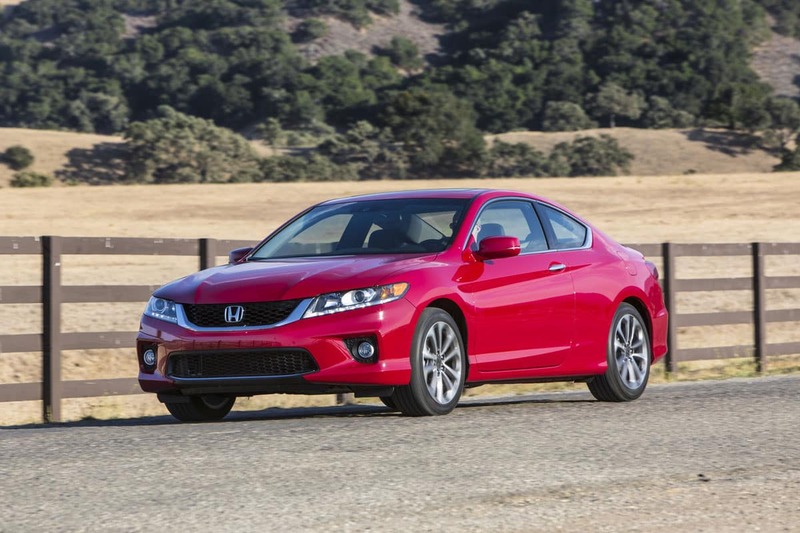 Honda pre-owned vehicles earning IIHS recognition as among the “best choices” for teen drivers under $20,0001 include the Accord Sedan and Coupe (2013 and later), CR-V (2015 and later), and Odyssey (2014 and later). Additionally, the Accord Sedan (2012), CR-V (2012 and later), Element (2007-2011) and the Odyssey (2011-2013) were included on the list of “good choices” for teen drivers under $10,0001. Honda introduced its Advanced Compatibility Engineering™ (ACE™) body structure more than a decade ago and has been applying it step-by-step to every Honda automobile. In 2012, this included engineering to meet the requirements of the driver- side small overlap front test, which replicates what happens when the front, driver-side corner of a vehicle strikes another vehicle or a utility pole. “Our early investment in advanced body structures for Honda models helped them achieve top third-party safety ratings, which can help teens or their parents in making educated purchases of both new and pre-owned vehicles,” said Ray Mikiciuk, assistant vice president of Honda Automobile Sales. For added peace of mind, shoppers may choose a Certified Pre-Owned Honda (hondacertified.com) vehicle on this list through an authorized Honda dealership, including an extensive limited warranty. Research conducted by IIHS found that motor vehicle crashes are the leading cause of death among teenagers. The models on this year’s “Good Choices” list earn good ratings in the Institute’s moderate overlap front, side, head restraints and roof strength tests. This is the first year that roof strength has been factored in for the under-$10,0001. Good Choices list. Vehicles on the “Best Choices” list (under $20,0001) must meet the same criteria and also have a good or acceptable rating in the driver-side small overlap front test. Honda has a long history of leadership in the development and application of advanced technologies and designs meant to enhance the safety of all road users, including automobile occupants, motorcycle riders, and pedestrians. The company operates two of the world’s most sophisticated crash test facilities in the U.S. and Japan, and is responsible for numerous pioneering efforts in the areas of crashworthiness, airbag technology, collision compatibility and pedestrian safety. Consumer information is available at automobiles.honda.com. To join the Honda community on Facebook, visit facebook.com/honda. Additional media information including detailed features and high-resolution photography of all of the listed Honda models is available at hondanews.com. 1. Based on IIHS pricing research among all used vehicles. Prices will vary and may be higher for certified pre-owned vehicles, which offer multiple benefits, including limited warranty coverage.